7 On that same day, Solomon dedicated the courtyard in front of the temple and got it ready to be used for worship. The bronze altar he had made was too small, so he used the courtyard to offer sacrifices to please the Lord[a] and grain sacrifices, and also to send up in smoke the fat from the other offerings. Father! As we try to think about the new task, we realize that we cannot even think as the present flow continues; we cannot wake up unless we find a moment in which we stop the flow of history and think about ourselves. Since we cannot wake up without a new shock, Father, please continuously give us such shocks with which to escape from the historical ties. As we see that, we cannot wake without a stimulated heart. We should look for and adore such a heart. Looking at the young people in Korea, they are flowing aimlessly like floating grass. Where will they go after flowing with the wave? Is there not a movement that can go against the flow? Is there not a way of awakening? This age requires a prince of the age who is consumed with a public anger that hates and resents the present circumstances. He must embark upon a great adventure, if such a way exists, with a determination to be more loyal and filial than anyone who has dedicated himself to expelling sinful history and the world. Only when there are many like this will the day of hope come for this nation. The moment of hope we have desired will open for the world. Heaven does not do such work. This is not a job for Heaven, but for us. Thus, you cannot be satisfied in your present place. You should look for the one who is crying out to awaken humankind, possessing the eager Shim Jung of Heaven, concerned about their being in the realm of death. You should be able to hear that crying out. After hearing the sound of it, you should be able to see the one who is crying out and then initiate action. Richard: Understand your indentity. Don’t let the devil steal your strength and identity. 2 sing and praise his name. Richard: Yes, sing praises to our God every day! Father, we miss the time when You used to teach us about all that was of You and the time when we beheld Your glory in ecstasy and did not want to remain on earth. We also miss the time when heaven and earth rejoiced as we were immersed in Your love and experienced Your Shim Jung. You liked appearing in quietude, and did not mind coming in the middle of hardship. You have been working in history, fighting with us on the battlefield and in the place of despair. As we reflect that You have always stayed with us, fought with us, and always longed to live with us, please let us repent for our past course of faith in which we enjoyed rejecting and denying the earth, even though we lived there. We have seen that although You are in glory when we joyfully serve You in the position of transcendence, You were pitiful, haggard and saddened when You appeared on the earth. We also have learned that You have been relating to us in this form throughout history. 25 The kingdom of heaven is like what happened one night when ten girls took their oil lamps and went to a wedding to meet the groom. [a]2 Five of the girls were foolish and five were wise. 3 The foolish ones took their lamps, but no extra oil. 4 The ones who were wise took along extra oil for their lamps. 13 So, my disciples, always be ready! You don’t know the day or the time when all this will happen. We know that history has been a sad course because of the fall of Adam and Eve, who were to serve You. Please instill in us anger over human history. The descendants of sinful Adam and Eve have continued until today with the inherited baggage of sin: driven, chased around, and suffering under hardships. Since You have responsibility as the Creator, and accordingly, can never forget them, You have been going through a historical course of toil to regain humankind, regardless of the age and time. Please enable us to feel remorse over ourselves in such a position and to feel pain over Your having walked that path of infinite toil and suffering. Father, we eagerly hope and desire that You will give us the heart to feel shame together with You about who we are and anger over having inherited the sinful lineage of history. We feel that the sinful character still remains in us. Our bodies are shackled in chains of sin. We are zealously waiting for You, merciful Father, to reveal Your power and ability. We are waiting to become true sons and daughters. We know that Your sorrow will deepen as You see sons and daughters fail, unable to cut off the barbed wire of sin, unable to sever the relationship with sin that invades them and fight. 22 The soldiers took Jesus to Golgotha, which means “Place of a Skull.”[d]23 There they gave him some wine mixed with a drug to ease the pain, but he refused to drink it. This world must change. It should change on a great scale. Can you go without changing in such a world? You should become selves who do not change in a changing world. What, then, do you have to do? The solution to this must be provided by religion and truth. History has been, is and will be progressing toward one purpose. The human mind, however, is changing. Your mind changes many times even in one day. The ideology you uphold also changes several times in your lifetime. We should feel in our daily lives that we are people of viciousness, descendants of the fall, the betrayal of Heaven. 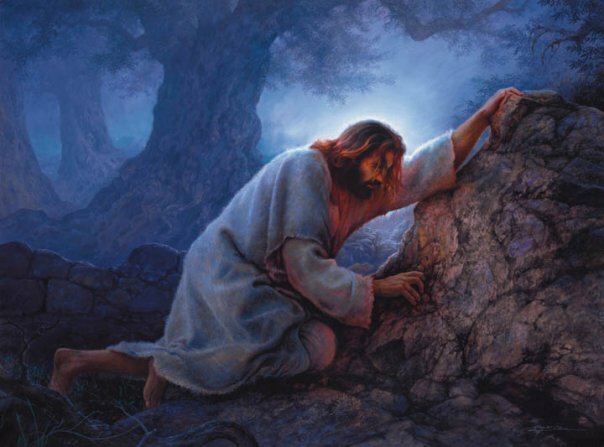 Richard: That stone is Jesus, and that stone is the second coming of Jesus, Rev. Sun Myung Moon. To begin centered on himself, to bring settlement centered on himself, to pass judgment centered on himself is the most effective way for a person. Therefore, rather than pursuing the relative self, you should pursue the self who has a direct connection to Heaven, the one with the mind that pursues value. The stimulus to cry out for and to fight to seek such a self should begin with “me.” Thus, it should test my mettle. Only when that self is stimulated do I and the hoped-for “I” form mutual ties with which we surmount the difficult path of faith without problems. You must know this. Seeking and impatiently waiting for such a hoped-for self is the best standard for the ideal person of faith. You must be deeply imbued with the Shim Jung wishing to meet such a self someday. Only then can you know how to look at Heaven, and you will fight to find that self.